In efforts to increase visibility and tourism in Tanzania, the Tanzania Tourist Board has signed a Memorandum of Understanding with Ethiopian Airlines at a ceremony held in Moshi, attended by Dr. Aloyce Nzuki, Managing Director for Tanzania Tourist Board and Mr. Hailemelokot Memo, Sales Representative for Ethiopian Airlines. Together with Ethiopian Airlines, Tanzania Tourist Board hopes to attract tourists not only from Ethiopia but from all of the destinations from where Ethiopian Airlines flies. This new partnership is aimed to attract visitors to both Ethiopia and Tanzania through direct retails channels as well as creation of packages for tour operators. 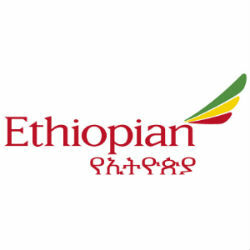 This understanding is also beneficial to Ethiopian Airlines, as in return, Tanzania Tourist Board will advertise the airline on their website. Ethiopian Airlines will also be invited to partake at stands where Tanzania Tourism Board will be promoting at trade fairs.